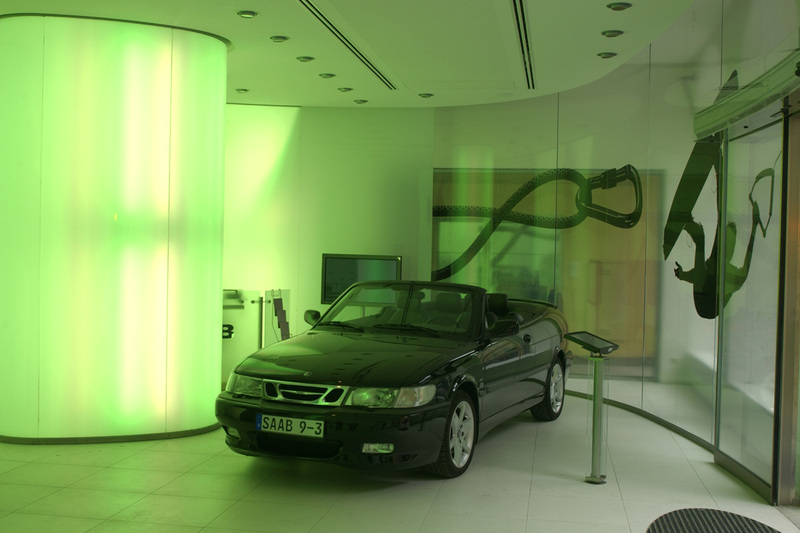 A Saab showroom has been installed in an existing building with a façade subject to a preservation order in Munich’s city centre. The Swedish Saab architectural concept was implemented in the course of converting the existing building. 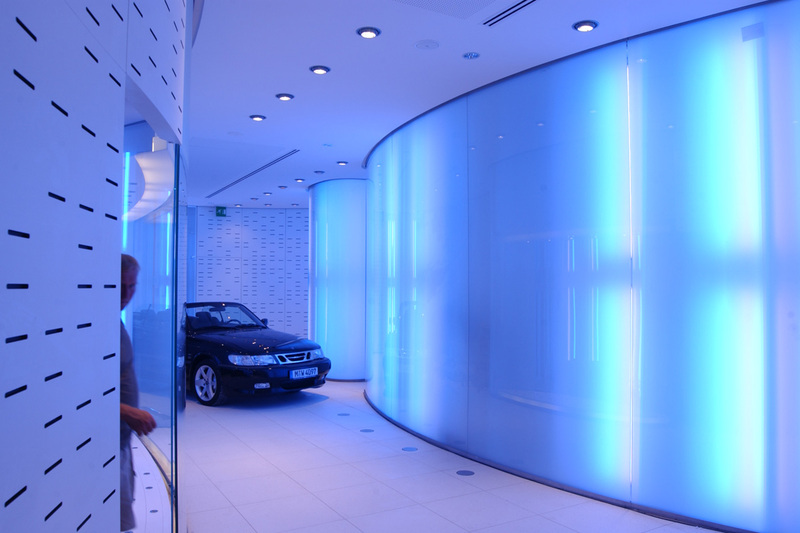 A special feature of the interior design are the 4.0 m high, curved glass walls which are back lit in alternating colours thereby generating different lighting moods. An additional conference centre was created in the basement for the purpose of holding events. All the technical equipment required to operate the facility had to be accommodated in the non-visible area which was achieved with the aid of sliding walls and movable lighting due to the tight space available.